Daniels, Jack. Daniels’ Running Formula, 3e. 2013. Lydiard, Arthur. "Arthur Lydiard's Lecture." American Track and Field. Winter 2007 Edition. Video. “Workout Wednesday: No. 20 Georgetown Med Ladder Workout.” 2016. Sandrock, Michael. Running Tough. 2000. You may have had the experience where you are out for a run and feel so good that you know deep down that, had you raced that day, you would have set a PR. I know I’ve had this experience more than once. Whereas I once took this as a sign that my training was working, and that I was getting fitter, in hindsight, I can see that I had actually peaked at the wrong time. That wonderful feeling of being in tip-top shape did not last long, and when I did eventually race, I realized that my timing was off, and I felt stale instead of wonderful. First, let’s recap what we’ve learned from Building Your Fire: the bigger the foundation, the longer your fire will burn; keep your base-building limited to low and moderate stress levels, nothing hard; supplement your easy runs with regular strength work and short sprints/plyometrics to maintain efficiency; make your base training individualized for your needs and progressive. Now comes the tricky part. You’ve put together several weeks, months, or even years of base-building, and now you’re ready to light the match by introducing harder and more stressful workouts. What constitutes a “hard” or “stressful” workout? Training that goes beyond your lactate threshold. Some coaches distinguish between the lactate threshold and the anaerobic threshold, but they are very close as far as intensity. 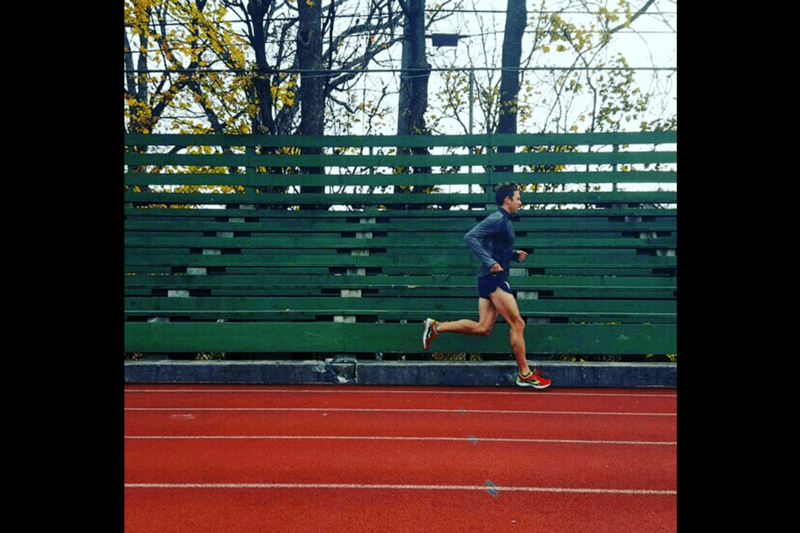 To keep things simple, this is any kind of training that goes beyond the “comfortably hard” zone of your typical tempo run. It’s at a pace that is faster than what you could average for an hour race. . So, if you ran a 10-mile race in 60 minutes, then anything faster than 6:00 pace would be anaerobic training. Now, you probably went beyond your lactate threshold while building your foundation when doing your short sprints, but because they were so short, there was no accumulation of lactate in the blood. It’s the accumulation that matters. Anything longer than 20-30 seconds at a pace beyond this threshold will light a match and begin to burn the fire you’ve built. That means your fire is now blazing, and you can race some impressive times during this window, but it also means that your fuel source is being used up. And your foundation gets smaller and smaller if you don’t do something to keep it going. So you can see how the training focus has shifted: whereas with building your fire it was about patience and discipline, with burning your fire it’s about timing and balance. The key thing to remember when you introduce harder workouts into your training is that it should be a premeditated, conscious decision, not an accidental consequence of a workout that went into “race mode” with your training buddies. A typical tempo run, for example, should not turn into an anaerobic workout. You should be at a pace that is just a touch slower than your threshold, and knowing where that line is is crucial to smart training. Just as there are multiple ways to build a fire, there are primarily two schools of thought around anaerobic training. One is that it should be reserved for 4-6 weeks prior to your key race, or the peak of your season. This is the linear, base-to-peak strategy pioneered by Arthur Lydiard. This school of thought believes that you cannot build and burn your fire at the same time. One must follow the other: first you build, then you burn. The other training philosophy is based on the idea that you can simultaneously build your aerobic engine while doing anaerobic work, as long as the two are balanced. Maintaining this balance is not easy. You can fill an entire book on each of these methods, so I’ll keep it as simple as possible. For Lydiard, anaerobic work marked a decisive turning point in an athlete’s training. When Julius Caesar crossed the river Rubicon into enemy territory in 49 B.C. he famously said, “Alea iacta est,” meaning “the die is cast.” . Today, the phrase “crossing the Rubicon” is used to refer to a situation like this: the point of no return. It is the same with anaerobic training. As Lydiard said in his lecture in Osaka in 1990, “The day you start doing anaerobic training and stop your aerobic conditioning is the day your performance level has been determined for that season.” . In other words, once you cross this line, there’s no going back. You’ve lit the match, and your firewood has started to burn. You’ve got a short window of opportunity to capitalize on the base you’ve built. This is why Georgetown University’s XC coach, Brandon Bonsey, instructs the men’s team at Georgetown to do about two Vo2 max sessions per season. . A Vo2 max session is around 3k pace, and is intensely anaerobic. None of the other workouts the team does for the entire season match this intensity. These two are carefully timed before key races. Bonsey wants his men’s fires burning their brightest at just the right times. The other school of thought says, Who cares? You can burn the fire you’ve built, as long as you continue to add more fuel at the same time. This method requires a careful balancing act of volume and stress, as well as a sensitivity to an athlete’s rate of adaptation. Many professional runners have used this method, since they have to be able to race frequently throughout the year. Of the two methods, this is the more difficult one. Frank Shorter did intervals on the track every week, but he also never lost touch with the tremendous foundation he built. “I basically trained as if I were going to run a 5,000 meter track race in a month…all year round,” Shorter said. . Several key elements enabled Shorter to train this way: first, he only ran 400 meter repeats at 5k pace (around 62 seconds each), with a minute or so recovery, so he was not accumulating a large amount of lactate; second, he took his easy days very easy, sometimes jogging with local high school students; and third, he maintained a two-hour/20-mile long run every Sunday. Shorter’s fire was always burning, but he was also adding more fuel all the time. Coach Joe Vigil’s athletes, including Deena Kastor, ran mile repeats every week, all year long. The pace varied, but it was generally around threshold to 10k pace. . Even though the volume was higher than Shorter’s quarters, by keeping the effort closer to their threshold, they produced workouts that were mildly anaerobic, rather than intensely anaerobic. All of these coaches and athletes were highly cautious around intense anaerobic work, which can produce a premature peak or wear down an athlete from exhaustion. Choosing a training strategy should be a deliberate decision you make based on your history, your ability, and your goals. Always be more conservative than aggressive, and know why you’re doing what you’re doing. When beginning anaerobic work, remember to maintain a balance: the harder you go in a workout, the easier the next day’s recovery run should be. Pay attention to how your body responds, and adjust accordingly. There’s no better feeling than developing a synchronicity with your own body, so that you’re able to peak exactly when you want to. 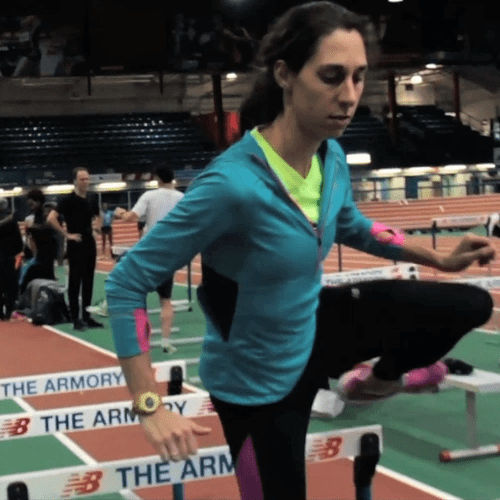 After all that hard work, you can toe the line on race day knowing it’s about to pay off. And here’s one last secret: building your fire is fun, but burning it is the best part.